Indigenous people living in Toronto are dying much sooner than the city's non-aboriginal population, according to a new health report. And while its authors have drawn the conclusion from just 109 cases over three years, they believe it is representative of a larger problem. 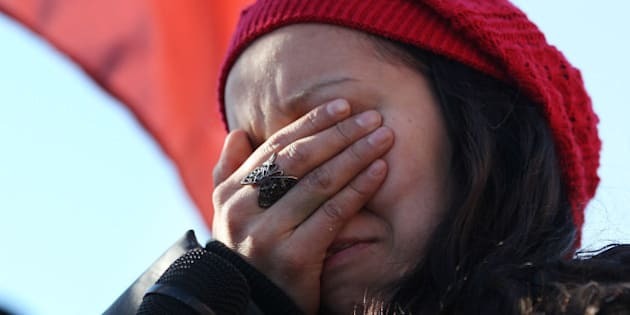 "Early death among members of Toronto's Aboriginal community," a report by researchers at Anishnawbe Health Toronto (AHT), found that the average age of death for indigenous people is 37 years old as compared to 75 years old for non-aboriginal residents. The numbers are based on people who used the AHT clinic and three other facilities in the city. Twenty-two of the deaths were babies or children who died before the age of 11, Metro News reported. The results shocked Dr. Chandrakant Shah, one of the report's authors and a doctor who works with AHT, CTV's Kevin Newman Live reported. "I consider Toronto a mecca for health and social services, even when it comes to aboriginal people. When I saw the number I couldn’t believe it," he said. The researchers examined 43 deaths at AHT between 2010 and 2012, and 66 that occurred at the three other health and social service centres. They also conducted 20 interviews with community members who were close to the people who died. The interviews revealed that colonial and post-colonial policies are a source of chronic stress for the aboriginal community in the city. One man, for example, was so traumatized by his experience at a residential school that he could not discuss his experiences there. "That’s why I drank so much. I just couldn’t be a father,” he said. Another interviewee said that colonial policies have caused indigenous people to suffer "spiritually, mentally, emotionally, physically." "When you take them from their land, their spirit becomes damaged," the person said. Colonial policies have also had a "delayed tsunami effect" on indigenous people, the report states. Effects can include cultural trauma, such as loss of language and traditional practices and interpersonal trauma, in the form of racism, discrimination and poverty. Other effects include mental, emotional and spiritual trauma (abuse, grief, poor coping), physical trauma (violence and addiction) and, finally, early death. A typical medical chart in the report showed that subjects also experience diabetes, high blood pressure, substance abuse, inadequate housing, obesity and anxiety. CBC News spoke to Chrissy Smith, a Toronto resident from the Peguis First Nation in Manitoba who struggles with anxiety. Adopted into a new family as part of the "Sixties Scoop" that placed thousands of indigenous children in the child welfare system, she was denied food, locked in a bedroom and called degrading names while growing up. She mostly manages her anxiety, but some days are more difficult than others. "I could have a panic attack downtown and people would be like 'what the heck is wrong with you?'" she told the network. The city must address the root causes of these early deaths, said Toronto Coun. Mike Layton, who is also co-chair of the city's Aboriginal Affairs Committee. AHT's report was presented to the committee on March 26. Members voted to send it to the city's Executive Committee for consideration.